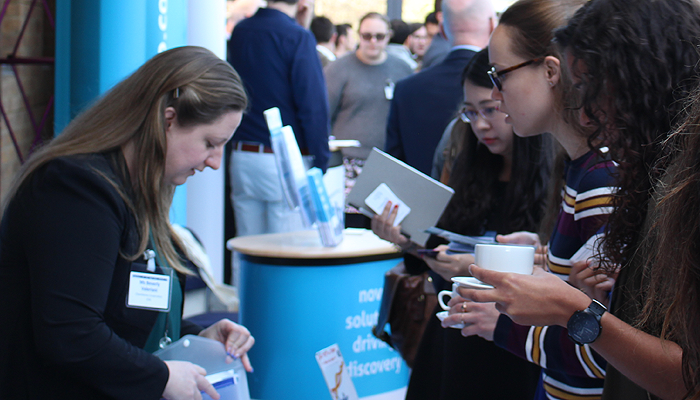 Aptamers 2018 invites demonstration of R&D and laboratory supplies related to molecular biology and DNA/RNA oligonucleotide research and invites commercial sponsorship. We have a variety of highly-competitive sponsorship packages. However, if your needs are not covered by our offered packages, we will be happy to develop a package to suit your requirements. We hope that you will agree to contribute some funds towards ensuring the next generation of aptamer researchers can learn from their peers at this official conference of INSOAP. We would be grateful if you could respond before the 22 January 2018 so that we are able to advertise these bursaries to potential students and provide sufficient time for processing of applications prior to the closing date of abstracts. RIBOMIC has been promoting the pharmaceutical discovery program in collaboration with Otsuka Pharmaceutical Co., Ltd., Taisho Pharmaceutical Co., Ltd., The University of Tokyo, and some other academic partners. Especially in April 2014, RIBOMIC entered into a world-wide exclusive license agreement for the anti-NGF aptamer (RBM004) with Fujimoto Pharmaceutical Corporation. In September 2015, RIBOMIC Inc. was listed on The Tokyo Stock Exchange Corporation Mothers Market. Read more on the company website. SomaLog ic is transforming healthcare by applying our proprietary protein-measurement technology to enable the precise monitoring of each individual’s health and wellness status in real time. We work with many different partners across research, health management, pharmaceutical development, and other health-related fields to build applications on our “SOMAscan Platform,” a single cost-effective and reliable testing platform that provides actionable and timely information to patients and healthcare providers across a wide range of diseases and conditions. Our SOMAmer® and SOMAscan® technologies also have multiple applications across the biomedical and life sciences, and are currently available to the entire scientific community for their own research needs. For more information,visit www.somalogic.com. Pure Biologics is a specialized contract research organization with expertise in recombinant protein production, purification and biophysical analyzes. We proved ourselves in this field successfully completing tens of research projects and collaborating with entities worldwide. More information will follow soon.